Enjoy the nonstick surfaces of enamel cookware. Line the cupboards with this set of 3 enamel pots. Prepare family meals with enamel stew pots. Cook to perfection and serve each time in an enamel pot. Cook a small meal for two in an enamel pot. Prepare oatmeal, poached eggs and more in it. Create soups, stews and other comfort foods in an enamel stock pot. Large stock pots ensure there’s enough stew to go around during family gatherings. 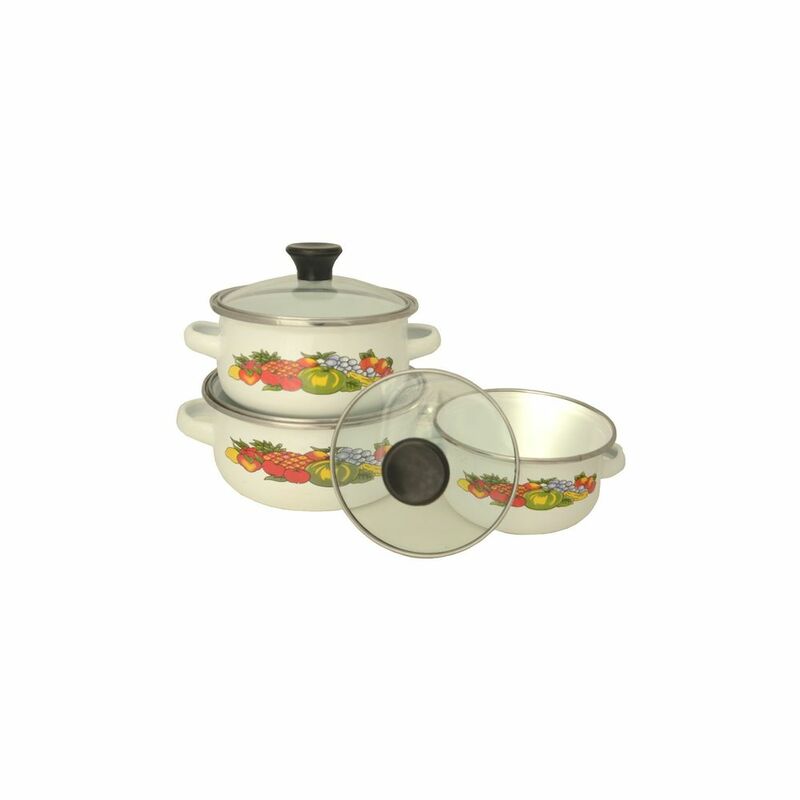 Small enamel saucepans heat soup, sauces and more for a fresh meal every day. Turn from pot to enamel casserole dishes for easy supper preparation. Mix ingredients in a casserole dish, slide it in the oven and create a memorable meal in no time.